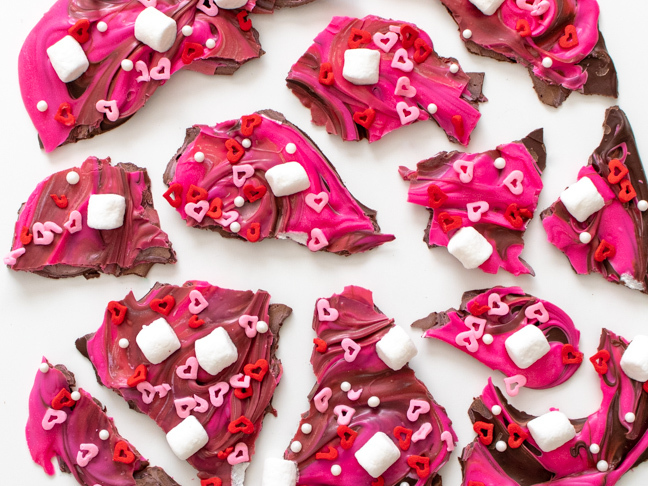 When it’s the day before Valentine’s Day and you realise you need a little gift for someone (or need to snack on something sweet), this simple Valentine’s Day no-bake chocolate bark will be your go-to choice. 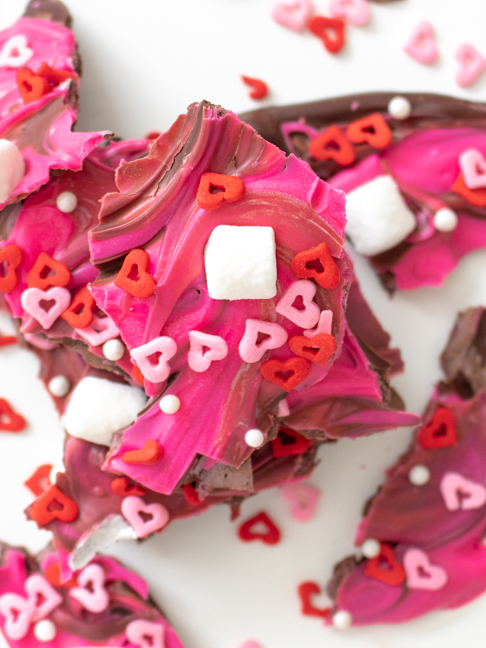 Swirled with milk chocolate and pink candy melts, this chocolate-bar like candy is topped with Valentine’s Day-themed sprinkles and mini marshmallows. Whether you want to make a treat for kids or adults, rummage through your cupboards and pull out your favourite toppings. 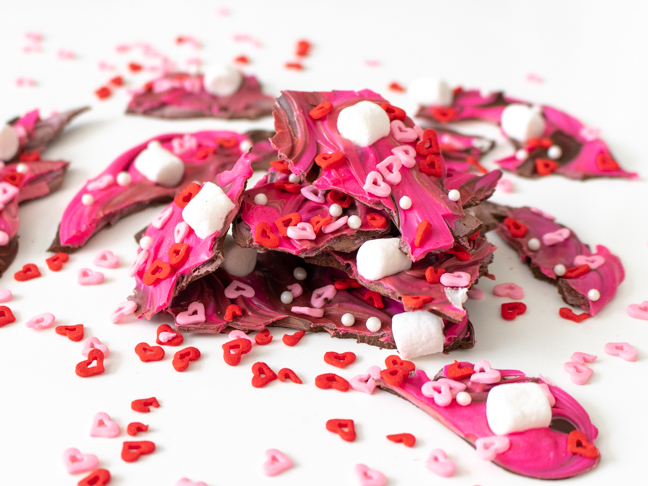 This simple holiday chocolate bark would be tasty with any sprinkles, candy hearts, marshmallows or nuts you have lying around. Simply melt, pour, swirl and top. I guarantee it’s even easier than going out to the store to buy something!